Written by CMOS Bulletin SCMO on January 7, 2018 . Posted in Weather, What's Current. Worldwide changes in extreme precipitation and temperature are consistent with what we anticipate from global warming. Science is linking climate change with increased risk of forest fires, floods, heavy rains, and the most powerful hurricanes. Canadians experienced many of these extremes in 2017. Canadians had plenty to “weather” in 2017. 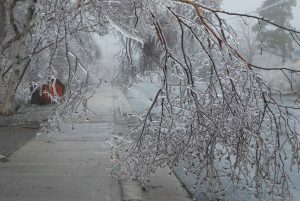 Property damage from weather extremes cost Canadian insurers and governments millions of dollars. Between the few floods, the many wildfires and record dry temperatures, 2017 was a year of too much— too dry, too hot, too fiery, too wet, too cool, but not too cold. It was the eighth warmest period in 70 years of reporting weather, with temperatures averaging 1.4°C above normal. This year also marked the 21st consecutive year warmer than normal, matching the trend for the rest of the world. From a list of 100 significant weather events that occurred across Canada in 2017, we picked the top ten weather stories that were the most significant. These stories were selected based on the degree of impact on Canadians, the size of area affected, the economic and environmental effects and how long it remained a top news story in Canadian media. As the Top Ten Weather Stories of 2017 confirm, our communities must become more resilient – not only for what lies ahead, but for the changing climate that is already on our doorstep. 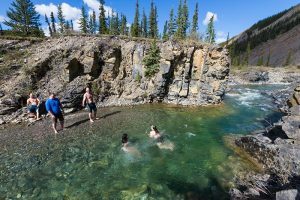 In 2017, across the southern British Columbia (BC) interior, an extraordinary weather change occurred – the region’s wettest spring was followed by its driest summer ever. The result was the longest, most disastrous wildfire season in the province’s history. 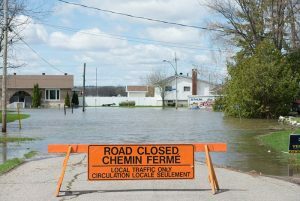 A province-wide state of emergency, the first in 15 years and the province’s longest one, began on July 7 and lasted until September 15. Aggressive wildfires forced 50,000 British Columbians to leave their homes. 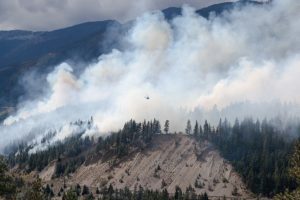 In total, the BC Wildfire Service reported 1,265 fires that scorched 1.2 million hectares of timber, bush and grassland (an area twice the size of Prince Edward Island), smashing the previous record for burned land by 30%. Total firefighting costs exceeded half a billion dollars and insured property losses reached close to $130 million. Across the West no other summer as far back as 1948, had been so dry. The record dryness was centered on Regina and Moose Jaw and between Kamloops and Kelowna. Total rainfall in Regina from April to October was 119.3 mm compared to the previous record of 151.5 mm in 1961. In Kelowna, it was not only the warmest August on record, it was also the driest. 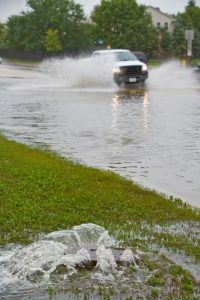 Just two-tenths of a millimeter of rain fell in the city compared to the 32.1 mm it usually receives in August; in July there was no rain at all. Attendance at outdoor attractions dropped, golf courses struggled to keep their greens green, low river flows and heated water harmed fish, and rising temperatures pushed summer electricity use to all-time highs. Hot days were also dry ones. Credit must be paid to growers of any product that made it to market, with the heat and drought impacting crops across the board. Livestock also suffered, as watering holes and grazing land dried up, with hundreds of cattle dying from dehydration. The only positive outcome from the persistent dry heat was a reduction in mosquitoes. Too much winter for too long had enormous impacts on the Lower Mainland and parts of Vancouver Island. Community centres became warming centres. Retailers couldn’t keep up with the demand for snow tires, snow shovels and road salt. Ski conditions were fantastic but getting to mountain resorts was, at times, an issue. On roads and walkways, frequent bouts of freeze and thaw made for especially icy, slippery surfaces with numerous potholes. Light rain began falling before noon on August 28. It continued with heavier amounts in the early evening. Storms kept happening overnight. The next day intense thunderstorms re-occurred and remained stationary. In less than 48 hours, 222 mm of rain fell in southwest Windsor and 140 to 200 mm in Riverside-Tecumseh. However, it was the nearby community of LaSalle that was hit the hardest with 125 mm of rain on August 28. Another 160 mm fell the next day. In total an incredible 285 mm fell in 32 hours. This was one of the wettest moments in Eastern Canadian history. Flood waters filled thousands of basements to the rafters and stalled vehicles on waist-high flooded streets. The scene was a repeat of September 2016, when curbs were piled high with soaked carpets, rotten furniture, broken appliances and drenched personal belongings. Insurance payouts totaled $154 million – the most expensive single-storm loss across Canada in 2017. 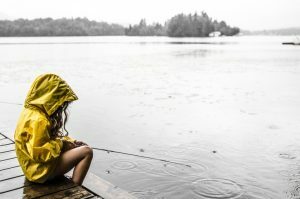 Ontario and Quebec residents knew it was going to be hard to beat last summer’s hot days, record-warm lake water and a season-long stretch of delightful vacation weather. But no one could have predicted what a bummer of a summer 2017 would turn out to be. Total rainfall from April to July was well above normal in most places, including the Great Lakes and St. Lawrence River Basin, where it was the wettest in 70 years of observations. Cool, overcast weather and frequent spring showers continued throughout the summer. Farmers who had faced dryness in 2016 were now cursing 2017’s super saturation that left them once again fearing the loss of their crops. 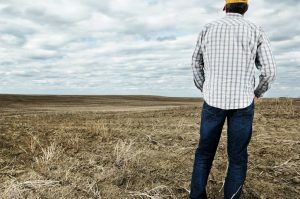 By mid-June corn should have sprouted, the first hay should have been cut and baled, and soybeans should have been planted, but agricultural activities remained weeks behind until September. Even the poor bees, who should have been busy pollinating, were kept hive-bound by the cool, wet weather. 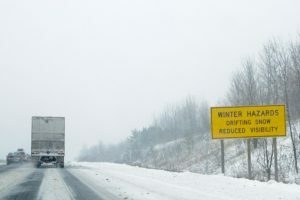 The storm led to a multi-car pile-up in whiteout conditions in Brockville that involved 15 transport trucks and other vehicles on Highway 401. Officials closed the highway in both directions as twisted metal covered the road and a highly toxic acid spill polluted the air. The storm then moved into Quebec, where it dumped 50 cm of snow at over half the weather reporting stations across the south. 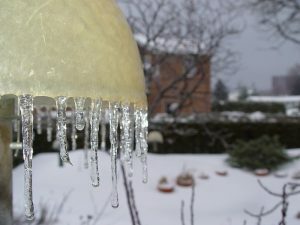 No previous storm had beaten so many snowfall records in Quebec, with some stations reporting more than a metre of snow. 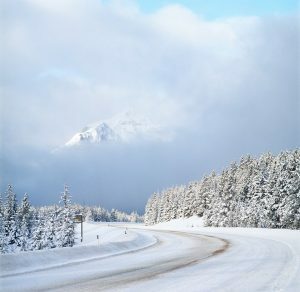 In Gaspésie, winds reaching 175 km/h caused total whiteouts. In addition, a storm powered by 100 km/h winds along the St. Lawrence River had tragic consequences. The monster storm took five lives and left hundreds of people stranded in a multitude of accidents across the south. On one stretch of highway in Montréal, 300 people spent the night stranded in their cars. In the lead up to the five-day scorcher, there were two weeks of delightfully sunny, warm and rain-free weather. It was the most beautiful stretch of summer weather in the entire year. The welcomed warmth went into October with southern Quebec experiencing its warmest month since at least 1870. The unusual heat across the eastern half of North America was due to a strong ridge of high pressure south of the Great Lakes that caused a large northward bulge in the jet stream. Dozens of cities across eastern Canada had their warmest September and October on record. For some places, September 25 was the hottest day of the year and the hottest fall day on record, with peaks between 30° and 35°C. Everywhere you looked there were full patios, people strolling in the sun and crowded beaches without lifeguards. The abundant dry-warm days were a blessing for farmers harvesting crops and vintners picking grapes. In Annapolis Valley, apple growers had to turn on overhead sprinklers. The traditional winter months of November through February were not too demanding across Newfoundland and Labrador. However, when a series of powerful and impactful winter storms hit the province in March and early April, the “soft winter” turned hard. Slow-moving blizzards racked the province with some of the toughest weather in years, featuring shrieking gales, humongous snows and freezing rain. Hurricane-force winds ravaged Newfoundland on March 1 and 2, but it was the “Brier blast” on March 11 that defined the rest of winter and spring. On the last Saturday of the Canadian curling championship, curlers, spectators and locals in St. John’s faced the usual Newfoundland mix of rain, freezing rain and snow in near-zero visibility. However, it was the winds that stirred the snowstorm into one of the fiercest storms the province had seen in more than a decade. Wind gusts in the Avalon Peninsula peaked at a hurricane-force of 190 km/h at Bay de Verde, leaving over 70,000 residents and visitors in the dark. It was said that wind speed and storm damages exceeded those from Hurricane Igor in 2010. Winds pulled trees out of the ground, brought down traffic lights and power lines, blew away entire roofs and overturned vehicles. In some cases, strong winds ripped the second story floor off houses. At the peak of this event, power lines that were stressed by wind and heavily coated in ice, snapped. This left close to 300,000 residents in the dark and cold. About one in three New Brunswick residents had their lives turned upside down. Power remained off in some communities for up to 12 days as entire hydro grids were rebuilt. Northern Acadian communities were especially hard hit. Schools were closed for up to four days and public transit was shut down. Canadian Armed Forces were deployed to help with the ongoing emergency response. According to New Brunswick Power, the province endured four major storms in the last two years compared to only two extreme storms in the previous twenty years. Storm surges came ashore in Quebec and there was local flooding in the Gaspé region. In Halifax, strong winds from the East, gusting close to 100 km/h scattered construction debris and tore down power lines. Winnipeg … the best weather this summer?